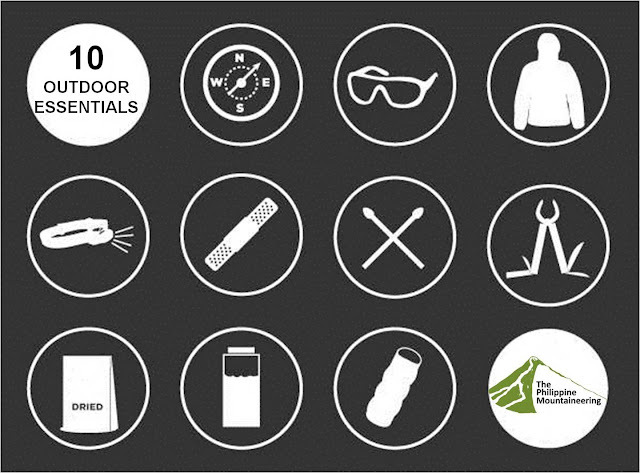 Ten Outdoor Essentials list were developed by the Mountaineers Club, with origins in the climbing course taught by the Club since the 1930s. 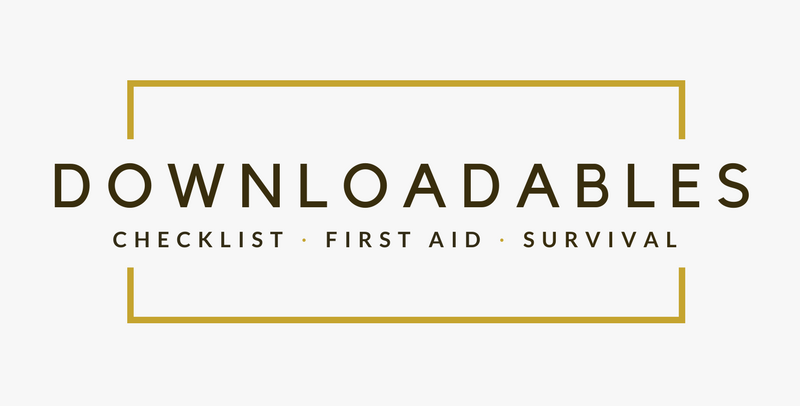 The "Ten Essentials" are survival items that hiking organizations around the world recommend for safe travel in the mountain. The list is a life saving tools on the mountain but some lightweight mountaineers do not always carry all the items. Always carry a detailed map of the area you will be visiting. The use of GPS receiver is a good idea but be sure to have extra battery for it, the best indespensible backup is the low-tech compass. SUNGLASSES (TWO PAIRS)- High quality, polarized lenses with UVA and UVB protection. Wraparound sunglasses work well also. A nose guard is recommended. We suggest bringing two pairs of sunglasses in case of loss or breakage. SUN SCREEN and LIP BALM – Both with good high-protection SPF. Skin-care experts say using clothing to shield your skin is a good sun-protection strategy. The activity level (and resulting perspiration) and the temperature are the factors that will determine if you choose to wear pants or shorts (or long sleeves vs. short sleeves) while outdoors. You'll still need sunscreen for your face, neck and hands. Conditions can abruptly turn wet, windy or chilly in the mountain, so it's smart to carry an additional layer of clothing in case something unexpected prolongs your exposure to the elements. Common options include a layer of underwear, an insulating hat, extra socks and a synthetic jacket. Flashlights also have value. There are some flashlights cast very powerful beams and are useful for signaling during emergencies. Always carry spare batteries—and if your light is equipped with an incandescent bulb, also carry spare bulbs. The kit should include treatments for blisters, adhesive bandages of various sizes, several gauze pads, adhesive tape, disinfecting ointment, over-the-counter pain medication, pen and paper. Latex gloves also deserve consideration. The length of your trip and the number of people involved will impact the contents of your kit. Matches should be waterproof or they should be stored in a waterproof container. Take plenty and ensure they are kept dry. Lighter is a good back-up bu you have to ensure the it's working. Firestarter is an element that helps you jump-start sustain a fire. This is the least commonly carried of all the Ten Essentials by the mountaineers. The ideal firestarter ignites quickly and sustains heat for more than a few seconds. Some of the available to the Philippine mountaineering is the dry tapulao tinder, candles, cotton soaked in petroleum jelly. Knives or multitools are handy for gear repair, food preparation, first aid, making kindling or other emergency needs. A basic knife should have at least 1 foldout blade (more likely 2), 1 or 2 flathead screwdrivers, a can opener and (though some people will call this a luxury) a pair of foldout scissors. Always pack at least an extra day's worth of food. It can be as simple as a dried meal, but it's even better to include no-cook items with nearly infinite storage times. Always carry extra energy bars, nuts, dried fruits and the classic GORP. The process of digesting food helps keep your body warm, so on a cold night it's smart to munch some food before bunking down. We suggests always carrying at least 1 water bottle and a collapsible or plastic water reservoir. You should also carry some means for treating water, whether it is a filter/purifier or chemical treatment. We should be prepare for the worst, if getting lost or injured leaves you stranded in the mountain. It is better to bring an emergency shelter than nothing if you have to deal with wind or rain. Options include an ultralight tarp, an emergency space blanket and even a large plastic trash bag. Even though you may only occasionally use a few of these items but we suggests that carrying the Ten Essentials on all your mountaineering activity is a smart move. Aside from common snese, the list serve as the antidote to the unexpected. how is it that "whistle" rarely taken as essential...been climbing for 25 years now and it saved me once in an eye accident being alone in the trail and easily located by other mountaineers! sir/ma'am thanks for the response. yes whistle is one of the musts bring stuffs for every climb. it our best way to signal our presence or for urgent rescue. whistle is listed as one of the other essentials. This is a great post! Thanks for giving us tips and info.